Use the Google Maps street view to take a tour of campus. 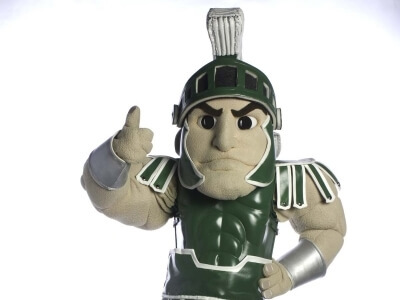 Start at the MSU Student Union where our mascot, Sparty the Spartan, is waiting to greet you! Then head over to see what’s painted on The Rock along the Red Cedar River. Learn more about the MSU Rock on the MSU Facebook page.